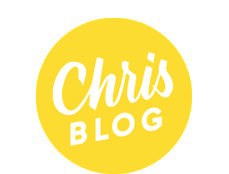 I am thrilled to share a new project that has been months in the making. Back in January, I submitted an open pitch Uppercase Magazine. 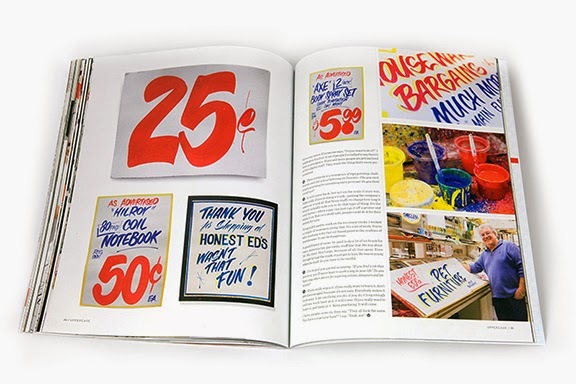 The idea: to profile the signs and sign painters of Toronto's beloved department store, Honest Ed's, which was recently slated to close its doors. 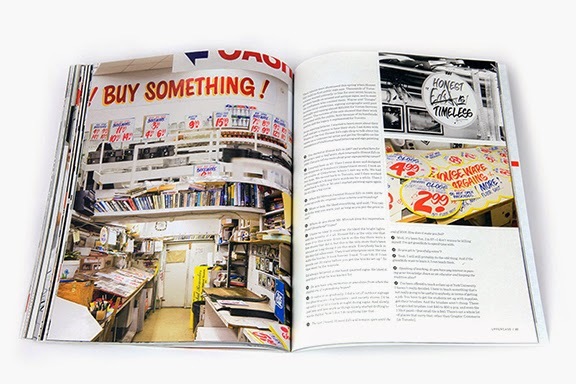 I contacted Mr. Wayne Reuben, one of the two remaining sign painters, and was able to set up an interview, with the help of Honest Ed's general manager, Mr. Russell Lazar. I was blessed to be paired with photographer Becca Gilgan, who joined me on the day of the interview to capture Mr. Reuben's work & studio, as well as the department store itself. Despite the challenges presented by the space and lighting conditions (curse you, fluorescent bulbs! ), Becca exquisitely captured the beauty and character of Mr. Reuben's environment. It was an honour to spend the morning with Mr. Reuben, a skilled craftsman who has been keeping the sign painting tradition alive for 40+ years. 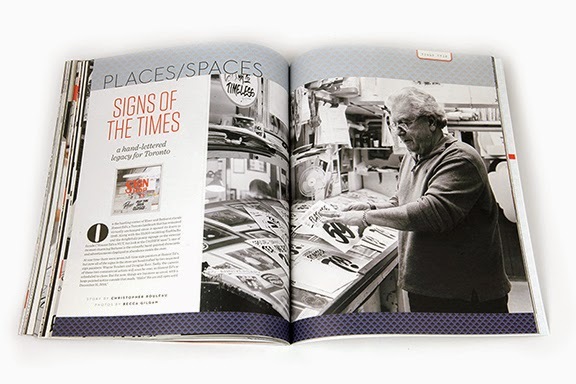 He spoke candidly about his career at Simpson's & Honest Ed's, the good old days with Ed Mirvish, and the industry's transition from analog painting to the digital era of signmaking. His tone was warm and paternal, like that of a grandfather, making our time together most memorable. Thank you, Wayne. I would like to thank Janine Vangool for this incredible opportunity to honour Mr. Reuben's legacy, and for her beautiful layouts in the issue. Much thanks to Beeca Gilgan for her masterful photos – your talent is awe-inspiring. Thank you to Jess & Leslie for your help in acquiring signs for the spreads. And thanks to everyone else who helped with proof reading and making the article perfect. I encourage you to pick up this beautiful calligraphy & lettering issue of Uppercase at your local bookstore – please check out the list of stockists on the Uppercase website here. 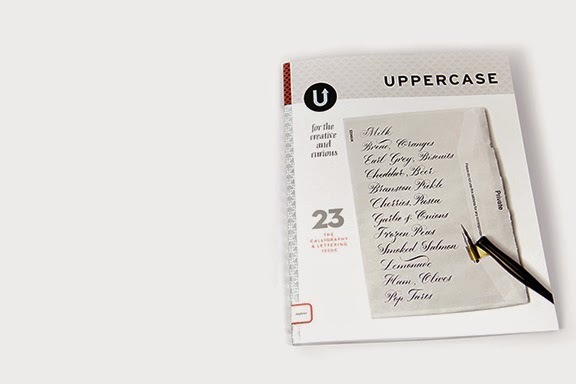 As further incentive, Uppercase is currently offering $15 off subscriptions until October 31. Simply use offer code letterlove when placing your order. You can place your order or become a subscriber here. 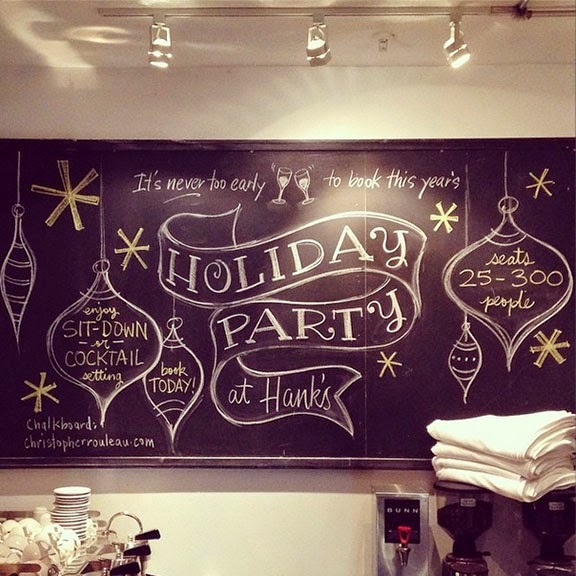 Here's a new holiday party chalkboard for Hank's! 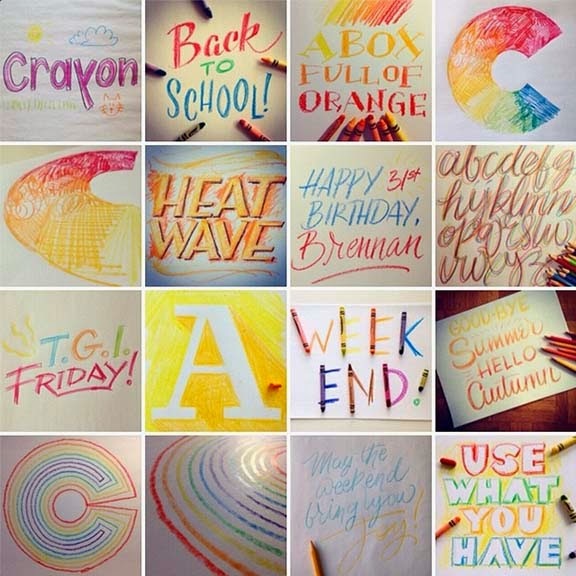 Here are some highlights from September's typographic adventures with crayon for 12 Months of Type. Check out all previous posts here, and follow my current progress on Instagram. The tenth installment of "Two-word truths" is now available! You can pick up "Play fair" in the shop for for $20. 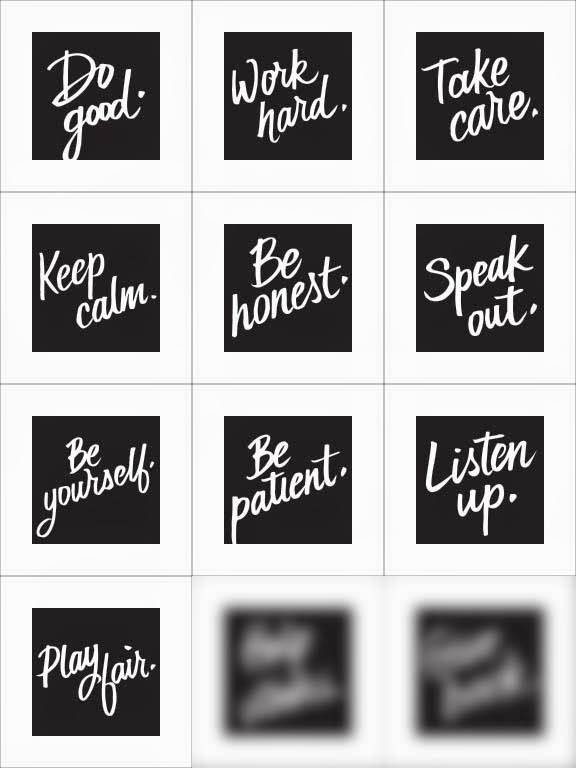 These 9" x 9" limited edition lino prints are based on original hand-lettering by yours truly. Printed in black ink on bright white 250gsm cotton archival paper. Lots of photos below. Pick up your copy of "Play fair" in my shop today!